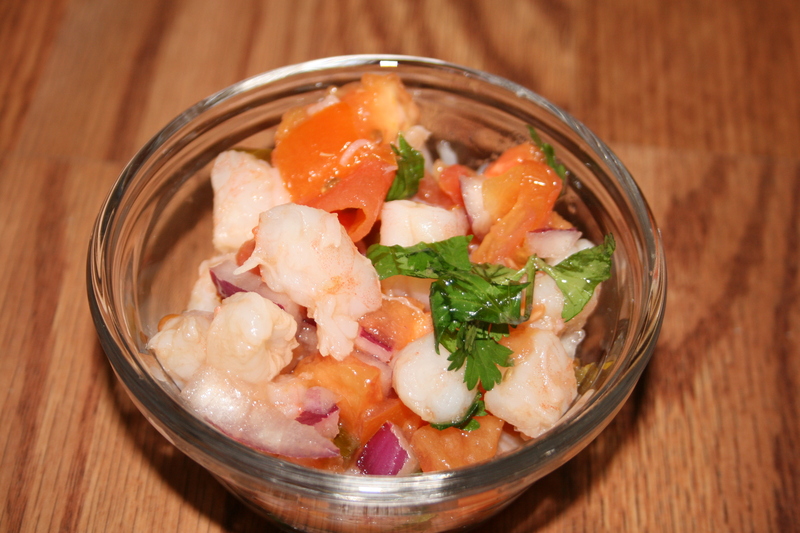 Fun fact: This past Christmas, my mother and I polished off an entire tray of cocktail shrimp by ourselves. This is an incident that I now like to refer to as “Fat Christmas”. I really love shrimp though. It has a low calorie count but is still a good source of protein. 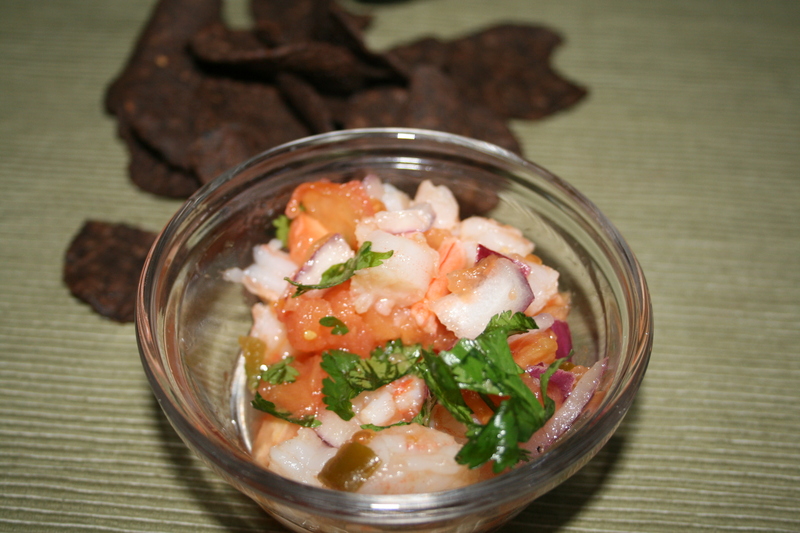 That’s why when I found this shrimp salsa recipe at Skinny Taste, I knew I had to try it out as soon as possible. I also thought it was funny that the Beanitos chips I discovered when I made the Almost Chipotle’s Corn Salsa were featured in her recipe. See? I am not crazy. Black bean chips are delicious!! 3. Refridgerate for at least an hour. Serve cold with Beanitos or another delicious chip of your choosing! 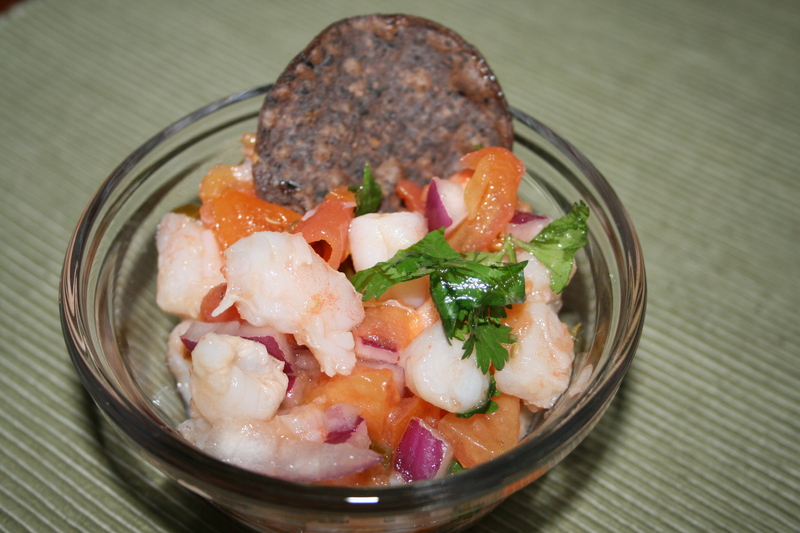 This entry was posted in Appetizers and tagged beanitos, cilantro, salsa, shrimp. Bookmark the permalink.